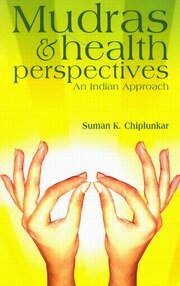 Now on the advent of a New Perspective which is more oriented towards the 'Desi Culture', this book on 'Mudras and Health Perspectives - An Indian Approach' is a welcome addition to our knowledge. Suman K Chiplunkar, whom I know as an Educationist, a tireless Social Worker and a very humble but cordial humanist has endeavoured upon the age old inheritance in an altogether new version. The human body and mind are not two different entities. They complement each other. Today, we see a mad rush towards 'Hi-fi' way of life which totally ignores the alround development. Hence a Golden path invented through by our Sages and Seers is really worth following. The outlook as manifested here is that Health means not only the absence of diseases but also ever functional, enthusiastic and positive way of life. This particular vision of the Author is most welcome. 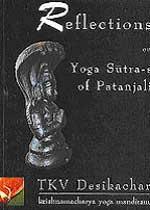 Similarly the Chapters on 'Sun Worship' and 'Gayathri Mantra' are quite secular and universal in their approach. I sincerely congratulate Suman K Chiplunkar for bringing out this English Version of her original work in Kannada (which has already seen two editions) which I am sure will attract an enlarged reading class.